When Ken Roth retired, he was looking for a hobby that would be creative, be a blessing to himself and others, and needn’t be profitable. 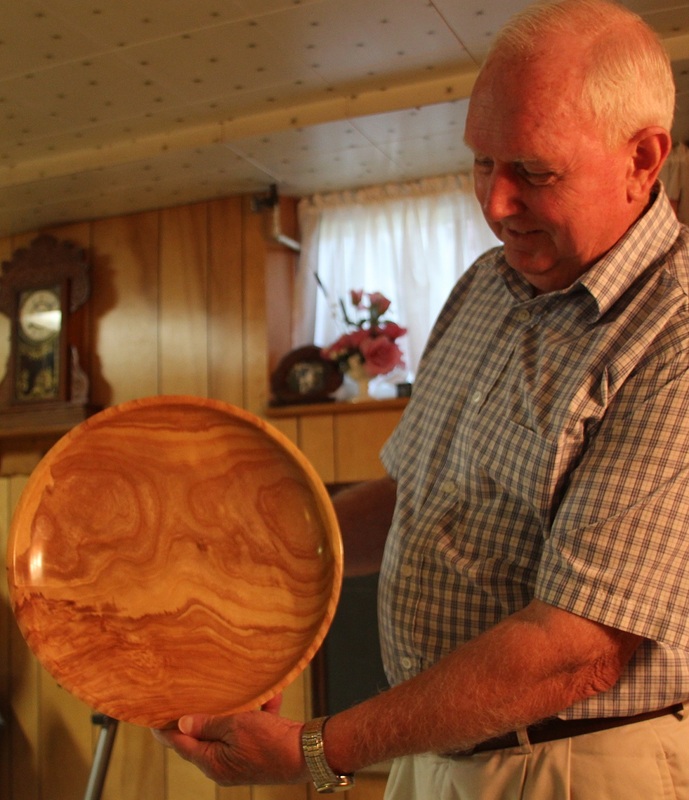 A member of East Zorra Mennonite Church near Tavistock, where he lives, Roth has served on the pastoral care team there for many years. 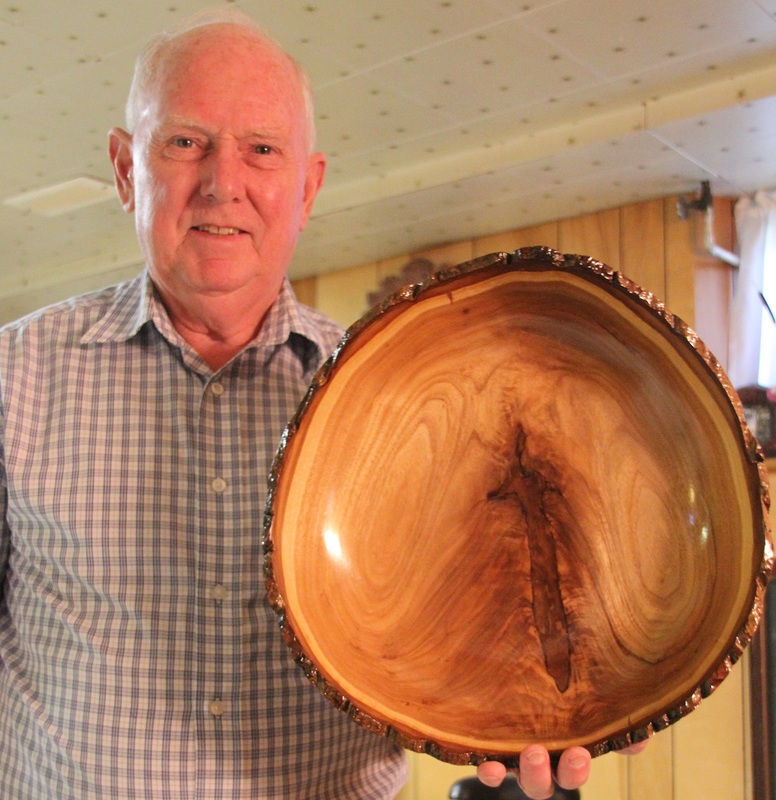 Having worked in construction and as a cabinet maker and carpenter, he struck on woodworking, mostly lathe-turned bowls and platters, with some wooden serving dishes carved with an angle grinder when the piece doesn’t suit the lathe. What he discovered in the heart of the pieces of “junk” wood and firewood shows a deep contemplative streak. Working with a piece that was rotten at the core he was about to give up, since it was such a mess. Suddenly through the black rot a white shape appeared. At first he thought it a maple leaf, but another person saw a symbol of the Trinity, and Roth was hooked. “It’s hard stuff, but it’s beautiful,” he says. 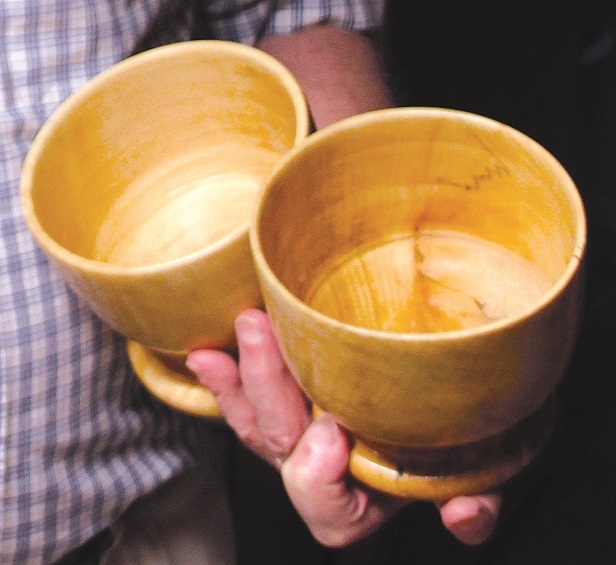 The bowl reminds him of his daughter Janelle, who died in 1989 of cancer at age 17. Although she struggled, the beauty at the core of her being continues to show up in unlikely places, as people remember her grace and generosity. 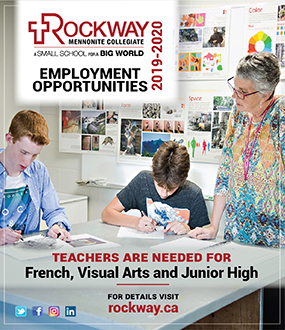 Through the years, piece after piece has brought lessons, prompting Roth to share his stories in many settings, including his home church, other local Mennonite churches, other denominations, and even a Kindergarten class in a nearby Kitchener school. 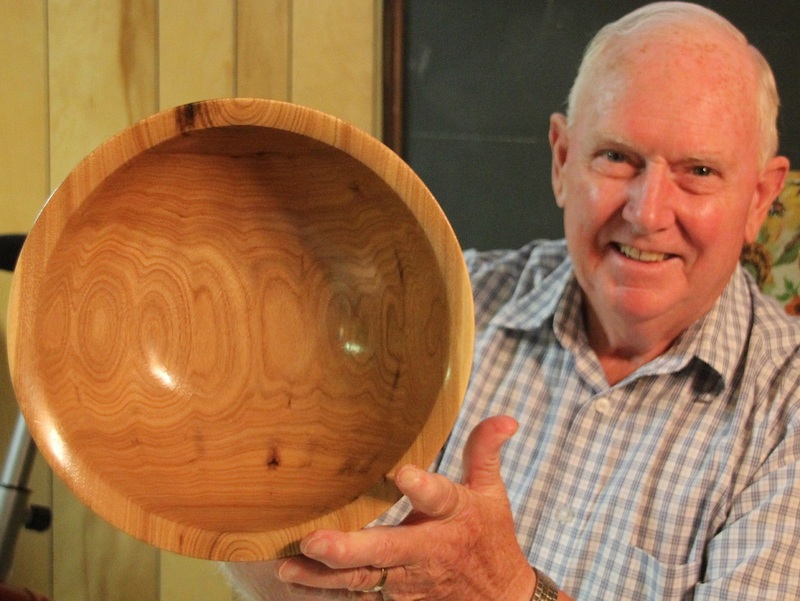 While he has sold some bowls, and even takes commissions, mostly he gives the work away. 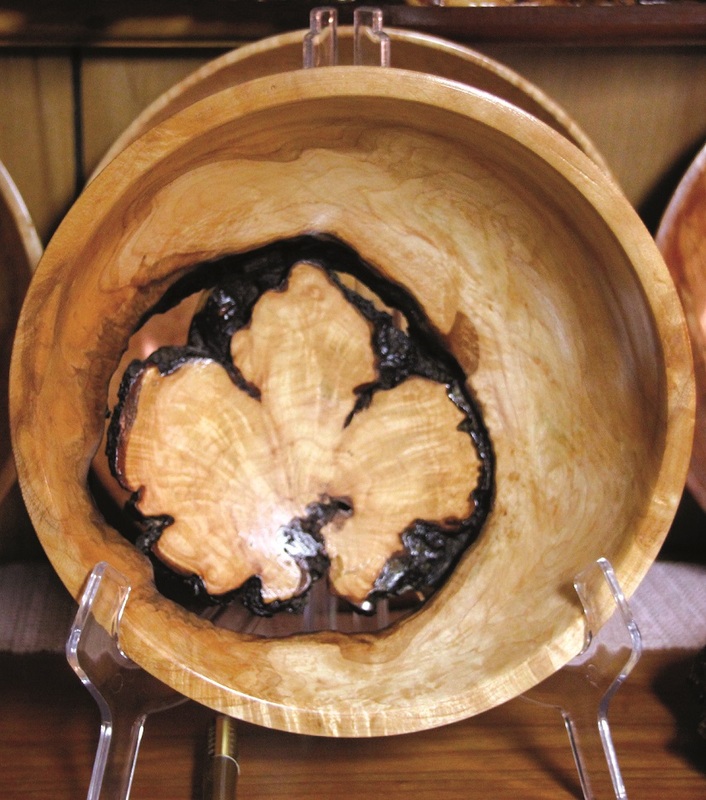 In particular, bowls made from burls—slowly formed scars in trees from broken branches—are given to people who have survived, or are struggling with, brokenness in their lives, as encouraging symbols of what God can make out of brokenness. 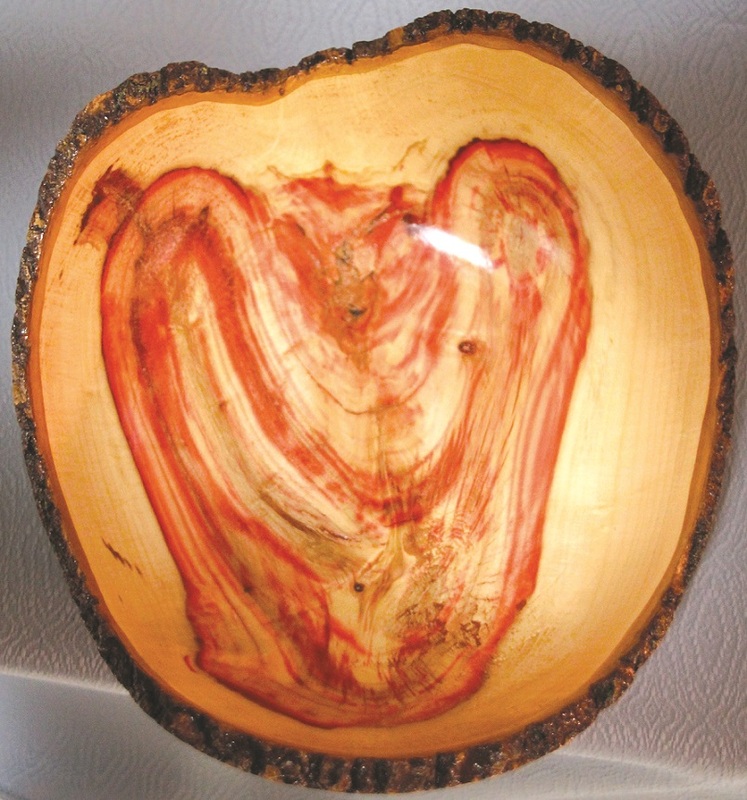 Roth looks past the ugliness and wounds to the beauty inside, both in wood and in people. He thinks God does the same.